eavy snowfall this week throughout Europe has closed the schools, leaving some remote villages cut off and disturbed traffic and power supplies in many areas of the region. Authorities in Bulgaria said two snowboarders died in an avalanche on Friday. The Bulgarian Red Cross said in a statement that their bodies were found at noon Friday in the Pirin Mountains in the southwestern country. 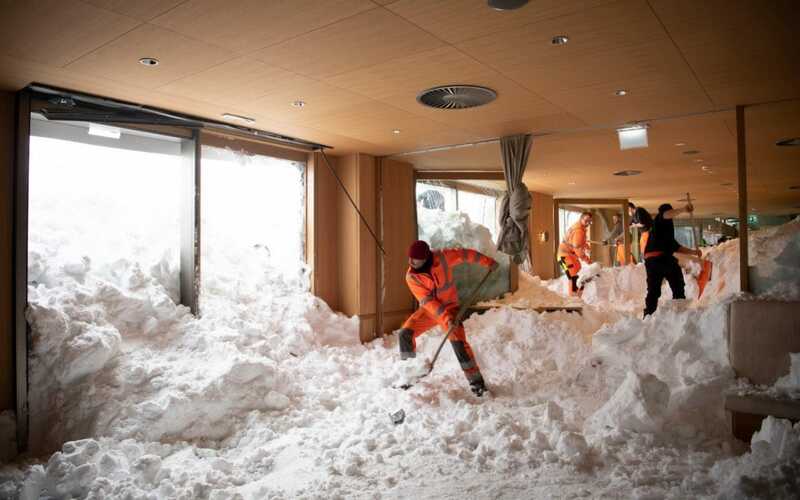 The statement said that snowboarders themselves had caused avalanches, apparently ignored warnings and weather alerts issued by the authorities after snow, also caused traffic disturbances and power failures. Albania also reported a snow-related death on Friday after a power company employee suffered a heart attack during repair of damaged supply lines, according to the government's energy ministry. It brought to at least 20 the number of weather-related deaths reported in Europe during the last week.